We so love working with our locals, and have been proud to work alongside the Boys at Langton Brewery from their very early days. 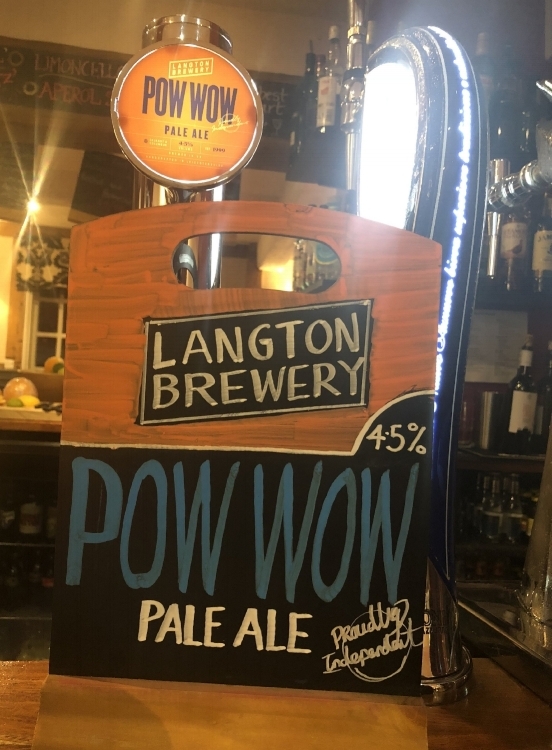 We stock some of their fabulous range of bottled beers, and have recently had their newly established craft ale, Pow Wow, installed on draft at Boboli. This really is a brew worthy of attention, almost bridging the gap between larger and ale. In the ever changing beer market, craft beers are becoming much more popular than mainstream lagers. People look for tasty local beers with more distinction and character, seeking quality over quantity and a more an intense flavour experience in both taste and aroma. The Pow Wow is served in a schooner – a curved glass rather than a straight one to help enhance the aroma experience (to keep it in). The beer itself is made with Ekuanot and Columbus hops creating an exciting range of flavours. A citrus grapefruit nose is followed by a tropical fruit, berry and subtle papaya taste. This juicy pale ale will satisfy those curious taste buds. For us at Boboli, we think this ale will pair well with some of our more spicy dishes, especially good with our Testa Rossa pizza or arrabiata pasta.